Scott Brison, the Member of Parliament for Kings–Hants (Nova Scotia), has been elected to Canada’s House of Commons in seven general elections between June 1997 and October 2015. Prime Minister Trudeau appointed Mr. Brison to the federal cabinet as President of the Treasury Board in November 2015. He serves as a member of the key Cabinet Committee on Agenda, Results and Communications that tracks progress on the government’s priorities; the Cabinet Committee on Inclusive Growth, Opportunities and Innovation that considers strategies to promote inclusive economic growth, opportunity, employment, and social security; the Cabinet Committee on Open and Transparent Government; and the ad-hoc Cabinet Committee on Defence Procurement. He served as Minister of Public Works and Government Services, and Receiver General of Canada from 2004 to 2006 and previous to that as Parliamentary Secretary to the Prime Minister with special emphasis on Canada-U.S. Relations. Mr. Brison has had extensive private sector experience as an entrepreneur and investment banker. He has served as Vice-President of a Canadian investment bank and as Chairman of SeaFort Capital Inc., a Canadian private equity firm. Mr. Brison and his partner, Maxime St-Pierre live in Cheverie, Nova Scotia, on the shores of the Minas Basin, home of the world’s highest tides. He was born in Windsor, Nova Scotia, on May 10, 1967, and in 1989 graduated from Dalhousie University with a Bachelor of Commerce degree in Finance. He has completed the Global Leadership and Public Policy for the 21st Century Executive Education Program at the Harvard University Kennedy School of Government. In his spare time, he enjoys economics, foreign policy, sea kayaking, downhill skiing, growing apples, and recently planted a small vineyard. 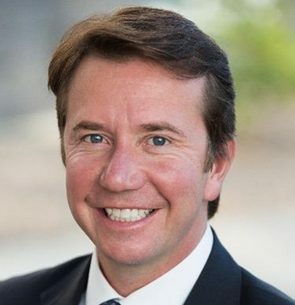 Scott Brison, député de Kings–Hants (Nouvelle-Écosse), a été élu à la Chambre des communes du Canada lors de sept élections, entre juin 1997 et octobre 2015. En novembre 2015, M. Brison a été nommé au Cabinet fédéral en tant que président du Conseil du Trésor par le premier ministre Trudeau. À l’international, il était membre de la Commission trilatérale et il a aussi été désigné « jeune leader mondial » par le Forum économique mondial de Davos (World Economic Forum of Davos), en Suisse. M. Brison possède une vaste expérience dans le secteur privé en tant qu’entrepreneur et spécialiste des services bancaires d’investissement. M. Brison et son conjoint, Maxime St-Pierre, habitent à Cheverie, en Nouvelle-Écosse, sur les berges du bassin Minas. Dans ses temps libres, il s’intéresse à l’économie et à la politique étrangère, il s’adonne au kayak de mer, au ski alpin et à la pomiculture, et il a récemment entrepris la culture d’un petit vignoble. The Honourable Scott Brison offers thoughts on digital government, transformation, and the road ahead for Canada.